The 10x42L IS Waterproof binoculars are the first from Canon to be engraved with the hallowed red L-series ring: a mark until now reserved for Canon's finest professional photographic lenses; the pinnacle of Canon's 60 year heritage in precision optics design and manufacture. Raising optical performance standards, the binoculars feature 2 Ultra-low Dispersion glass (UD) lens elements on each side. Developed by Canon, these elements are effective in eliminating chromatic aberration - the rainbow-like distortion that affects lesser quality binoculars. The result is super bright, high contrast, 10x magnification viewing clarity. To suppress vibrations caused by viewing hand-held, on moving vehicles or boats, the 10x42L IS WP binoculars include Canon's Vari-Angle Prism (VAP) Image Stabilizer (IS). Tiny gyros detect the slightest movements, while a microprocessor controls a special prism to correct the refraction angle of incoming light. Designed to survive the toughest outdoor conditions, the 10x42L IS WP binoculars are fully waterproof. The design incorporates a distinctive easy-grip for wet conditions, and a robust rubber coating to withstand all your adventures. To prevent fogging on internal lens elements caused by the ingress of moisture, all exterior surfaces are treated with a special metallic coating. This works in concert with special O-rings and use of waterproof adhesives on all external contact points to prevent water molecules permeating the outside casing. All the lens element surfaces are treated with Canon's Super Spectra coatings. 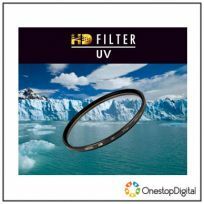 These ensure vivid high contrast images with accurate color balance by eliminating unwanted internal reflections that cause 'ghosting' (secondary images) and 'flare' (low contrast, washed out images). The exceptionally large 4.2mm exit pupil allows a bright field of view in low light conditions. 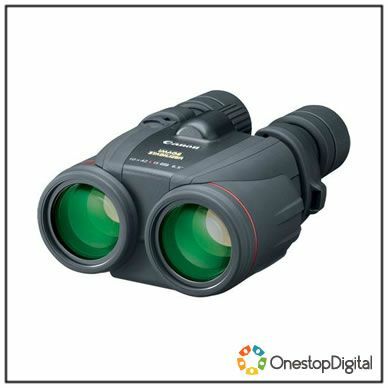 Every aspect of the 10x42L IS WP binoculars is designed around viewing comfort. A wide 65° angle of view gets plenty of horizon into view, while a 16mm Long Eye Relief minimizes vignetting (or the 'tunnel effect') that can affect prescription glasses wearers. A correction lock prevents unintentional dioptric correction errors, and the extending eyecups can be rotated for customized fitting. Now all you Brits who are sceptical about ordering from this company: This is the best service I have experienced from any website and the product is all genuine. Price I paid £670 Amazon price £1400, and I received it quicker than expected. PS Thanks for the brilliant service.